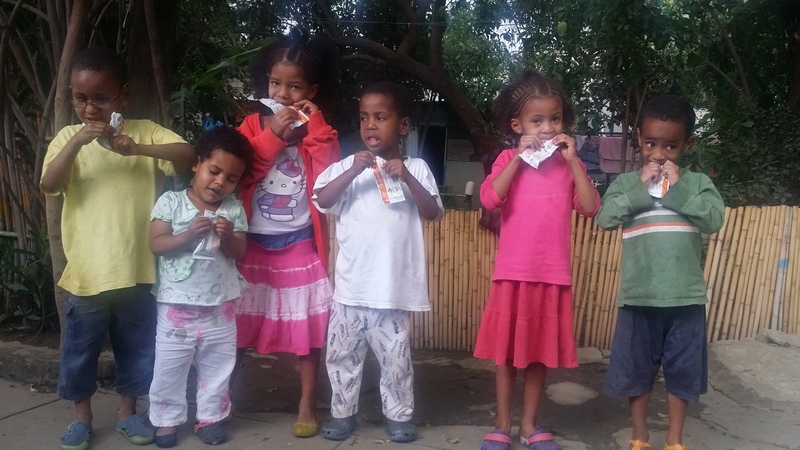 Next month will be the one year anniversary of our Plumpy Nut nutritional program at Lola Children’s Home in Mekelle, Ethiopia. Five days a week 22 of the 30 children at Lola consume one foil pack of Plumpy nut which contains 500 calories. The staff at Lola has seen wonderful results over the past 11 months. We’ve had weight gain in every child, vast improvements in learning and overall good health. Plumpy Nut is a peanut-based nutritional supplement for malnutrition. Your generosity has made this project a success. Many of these children are HIV affected and the need for additional nutrition is essential to their health. To make a donation towards the Plumpy Nut program please visit here. Food, glorious food…a terrific update about Children’s Heaven. This week has been one for the record books here at EOR. From the tidy sum raised at Macy’s Shop 4 a Cause, to the news that EOR was named a finalist in Stay Classy’s “Most Innovative Use of Social Media” category, we’ve been all smiles around these parts. And now, the smiles have grown even broader. Earlier today, EOR received the quarterly report from Children’s Heaven. That in itself is not particularly exciting. Our partners keep in close contact with us, especially via email, but we do ask for quarterly reports about the status of the projects we fund. Last year, at the 2010 Lights of Hope event, our generous donors raised more than $21,000 in less than 15 minutes so that EOR could begin funding a daily feeding program at Children’s Heaven. 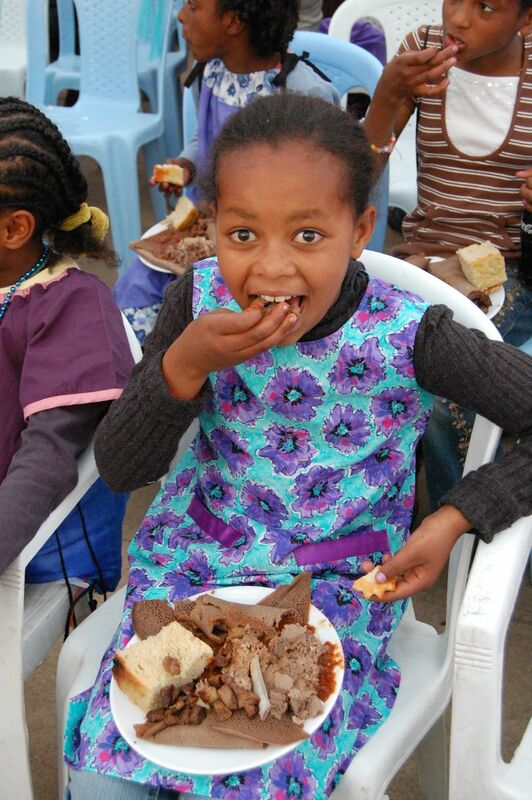 Although we had hoped to fund the program for a year, EOR was actually able to commit to meals for 500 days! Believe it or not, the 500 days should be coming to end in the next few weeks (oh how time flies). The board of EOR has been very anxious about securing additional funding for the program, and really, we had no idea how to make that happen. The report received from Hanna Fanta (the director of Children’s Heaven) today indicates that they have been so very careful with the funds that they will be able to feed the girls through March of 2012! So, lots of smiles all around today, and a few more months to spin straw into gold so that the program can continue nourishing girls. It’s been a very good week around these parts. I love what we achieve together. was the word of the day. Plenty of children, plenty of dinner, plenty of old jokes, and scrabble games, and rain. 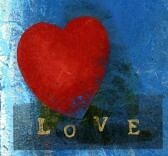 Looking around my house filled with plenty of loved ones, I can see that I am rich beyond measure. I hope that each and every one of you feels the same, and I hope that, like me, you wish for the children of Ethiopia to enjoy the very same riches too. Our local Ethiopian Adoptive Families group meets monthly for an Ethiopian dinner with our friend, Tiru. I see a good many of these families on a regular basis–we have playdates together, do a gal’s night out pretty often (although not as often as we might like), throw showers for each other, and in most cases, volunteer together (both for EOR and for ETSS). All this togetherness is a good thing. The community is really supportive, great ideas are shared, and greater friendships have been made. Sometimes though, the monthly dinner in particular, is difficult to squeeze in. This particular weekend was filled with: 2 meetings, an all day fencing tournament, dinner and a trip to the symphony (birthday treat for me!) , and a minor league baseball game. I’d be lying if I didn’t mention thoughts of canceling around 3:00 today. But then, I think of all that we’d miss by not going. Our family has developed a close friendship with the restaurant owners. Although we see many of the families throughout the month, some only drive in for dinner. Most importantly, new families join the group all the time–they need us too, as much as we needed the group when we first started coming. There’s a saying that runs through my head especially when life feels a bit frantic, “If you’re busy, meditate for 15 minutes a day, if you’re really busy, meditate for 30.” While a dinner with the Ethiohio group isn’t meditation, it fills me and the rest of my family in much the same way. I’m glad we took the time today and on many busy weekends to create the community we have–we are all the richer for it. Astrid Meklit chats up Tiru and Amy last September. As our trip to Ethiopia to meet our son steadily approaches (no specific date yet, but most likely late-May), I have been thinking quite a bit about how this adoption has differed from our first. I’m doing many of the same things to prepare: his room is painted and decorated, the closet is slowly filling with cute little clothes, and the carseat has been purchased. I’m even succumbing to the those lovely daydreams of how life will be with my son: adorable little scenes of family bliss run through my mind during those brief moments of quiet and idleness. 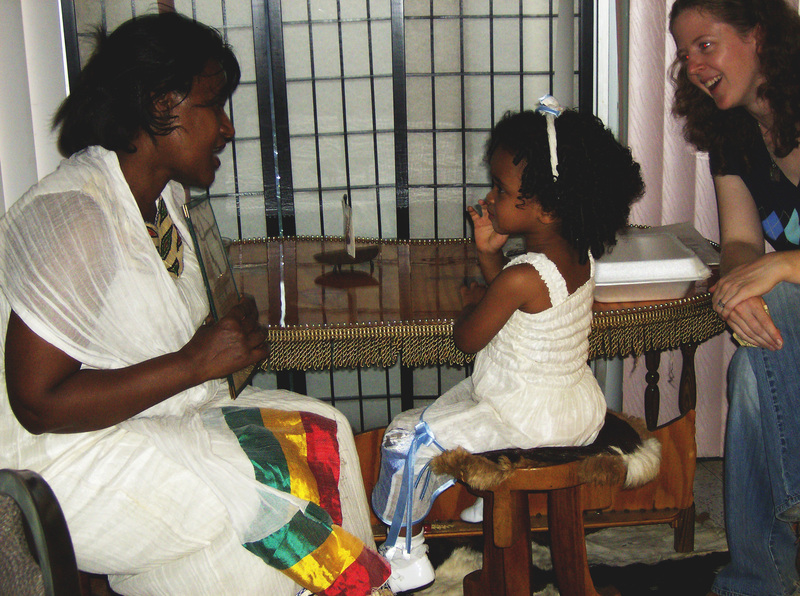 This time around, though, I go to Ethiopia a much more thoughtful adoptive mom. I have been blessed to find an amazing group of people, both local and online, that have enabled our family to have a connection to Ethiopian people and culture I never considered possible during our first adoption. Sure, I made all of the promises we all make when going through our homestudy with regards to respecting and promoting my child’s heritage & culture. My promises were sincere, I assure you. But I can look back now and admit (with some shame) that I was doing and saying whatever they needed to see and hear so that I could simply be a parent. I made the promises, but had no concrete plans to follow-through. Lucky for me, fortune smiled on my family when we moved to Columbus and I stumbled upon a truly lovely group of people. Now our lives are enriched with family nights at Abyssinia with Tiru, Enkutatash celebrations, and playdates with Lila’s little Ethiopian toddler posse. Yep, I’m still having those daydreams of life with my new baby, but they are different this time around. Now I imagine Elijah and Lila running around at the next Enkutatash celebration, taking Amharic classes at ETSS, fundraising for EOR, and playing with their Ethiopian friends. I head back to Ethiopia no less overjoyed and excited, but much more mindful and aware of what my son will be leaving behind to join our family. And my resolve to keep him connected to his Ethiopian heritage in any way that I possibly can is firm and concrete. or “B” for buna, in Ethiopia. A blessing and curse from my trip to Ethiopia is the inability to drink “regular” coffee any longer. A mere month before my trip to meet my daughter, I had a free afternoon to spend in San Francisco’s Museum of the African Diaspora. Lucky me, the entire museum was filled with various Ethiopian exhibits. I wandered from floor to floor, finally stopping in a theater playing a documentary about coffee. The documentary, of course, was the film, Black Gold. Time slipped away as I watched the last 80% of the film. 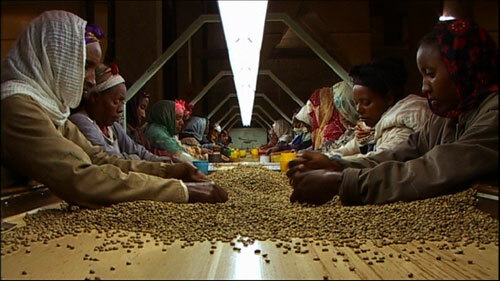 Who knew the story of coffee, and the people who grow it, and sell it, could be so interesting? After watching, I was firm in my resolve to buy only fair-trade coffee. I couldn’t believe that so little money trickled down to the farmers of my favorite bean (cocoa and jelly remaining firmly in spots 2 and 3!). My week in Ethiopia was spent in the company of the loveliest girl and drinking lots of the most delicious coffee ever. With every cup, I was reminded of the farmers and the coffee sorters and pickers in Black Gold, people who worked so hard, for so little, in an attempt to make a better life for their children. Although fair trade (and preferably shade-grown) organic coffee is considerably more expensive than a can of Maxwell House, it’s the choice I make with pleasure. I know that buying fairly-traded goods isn’t the singular path to economic freedom and recovery for the world’s farmers, but it is a path I can choose to take. If you haven’t seen Black Gold, I urge you to do so. It’s a nice trip back to Ethiopia for those of us who have been, and it’s a lovely preview for those of you waiting, waiting, waiting to meet your children. It’s also another small reminder that we are all connected in this world, that our actions do matter. Thanksgiving approaches, and while I spend time hunting for gluten free pumpkin cheesecake recipes and packing for the marathon drive from Ohio to Florida via Virginia, I also think about the many, many gifts in my life. When I take the time to create a gratitude list, it’s clear that I am indeed a lucky gal. Some items loom large, like my terrific husband, and my happy healthy children, some items are basic, like my big-enough house (with a broom closet! ), and great public library, and some are tiny little things that make my life complete, like Liberte‘ yogurt and my favorite new show, Glee. It’s easy to get bogged down in the day-to-day aspects of life, but when I really take time to reflect, I realize like most, I have a good deal to be thankful for. As our second year of operation draws to a close, the board of Ethiopian Orphan Relief, inc. has a lot to be thankful for as well. 2 projects at SOS/EE, a playground at AHOPE, and a well-building project to be completed in December are just a few of our many tangible successes this year. Before asking you to make a donation to EOR, I would ask you first to catalog the gifts that make your world a better place. After, I hope ‘ll feel compelled to share your good fortune with others—the children of Ethiopia. Whenever I feel I have too little to go around, a quick check of all that I do have reminds me that I have plenty to share. Whether your list includes a fabulous vacation, new grandchildren in the family, or your own favorite TV show, I hope that you’ll recognize the gifts in your own life, and choose to share the joy with EOR. 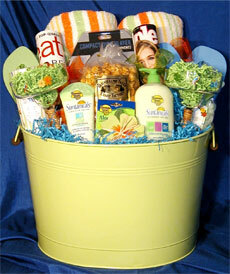 Those of us at Ethiopian Orphan Relief, Inc. realize our greatest gift is YOU! Without your ongoing generous support, none of the projects would be possible. You have made the world a better place for thousands of children who have access to joyful play, education, and clean water—perhaps for the first time ever. Please create your own list of gratitude, and consider making a gift in your name, or to honor someone else, to benefit the children of Ethiopian Orphan Relief. We all have so much to be thankful for….. The tibs, like the rest of Astrid Meklit’s birthday party, were a success. I followed the recipe pretty carefully, although when it was time to dice the green pepper, I noticed mine had gone missing. My rotten children ate the dish before it was cooked, or at least the green pepper part of it Luckily, the dish did not seem to suffer for it–it was declared delicious by many, including the guest of honor. 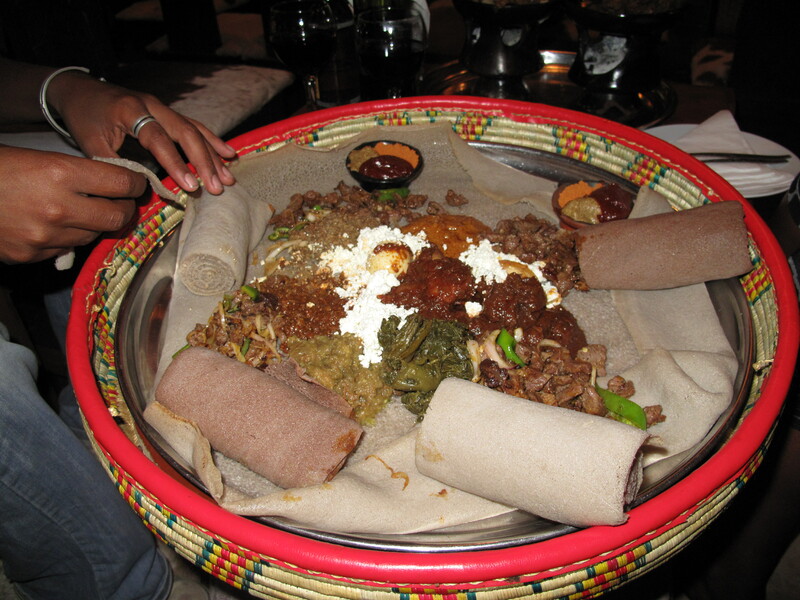 It was so much fun to get together with the people my 3 year old adores–there were other Ethiopian kids, some playgroup friends, and of course lots of adults to make sure all of the tibs and ye messir wat was eaten. We are so grateful to know so many other Ethiopian adoptive families, to be friends with so many Ethiopians. Although a life in Ethiopia spent with her first family is preferable, I’m happy that the life my daughter lives is filled with people who share her heritage. Melkam Lidet, Meklit konjo–you enrich our lives in so so many ways….